Best of the week: news and reviews 15.06.13 | What Hi-Fi? 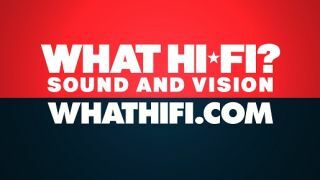 This week on whathifi.com we followed the E3 conference in Los Angeles as details spilled out about the next generation of game consoles. However, the focus wasn't all on the Los Angeles Convention centre. Apple had news to share of its own as it made its entrance into streaming music with iTunes Radio. Other news hit the web with ESPN closing down its 24/7 3D sports channel and Japan trialling 4K internet streaming. Review this week were led by Sony's 4K TV, while there was also a top-notch budget Blu-ray player from Sony, arguably the most-advanced wireless of headphones you can buy from Parrot, and more. Read on for the details, and don't forget to check our latest issue of What Hi-Fi? Sound and Vision, now on sale online and in stores. Exclusive: Neil Young and Meridian working on hi-res music service? The beginning of this week saw announcements from Microsoft and Sony concerning the next generation of videogame consoles. Sony scored something of a victory in the consumer stakes with its £349 pricing for the PS4 compared to the £429 price for the One. Rumoured over the past few weeks, speculation became reality at Apple's WWDC 13 conference with the software giant announcing its competitor to Pandora and Spotify. Built into the Music app that will feature in iOS 7, which was also unveiled this week, iTunes Radio will feature 200 stations and music curated from the iTunes store. It's due for release in the US this year with a UK release hopefully not too long after. Another nail in the coffin for 3D? Perhaps so, after US sports broadcaster ESPN chose to shut down its 24/7 3D sports channel due to lack of interest. ESPN spokeswoman Katrina Arnold announced the decision via Twitter adding that the channel could be revived but it was focusing on new technologies including 4K. Speaking of which, as 4K begins its assault on the living room, Japanese telecoms company NTT West began trialling 4K streaming broadcasts this week. The trial is designed as a feasiblity study to determine the practicality of streaming content into set-top boxes. Loewe launches Reference ID TV: "Mercedes Benz of TV"